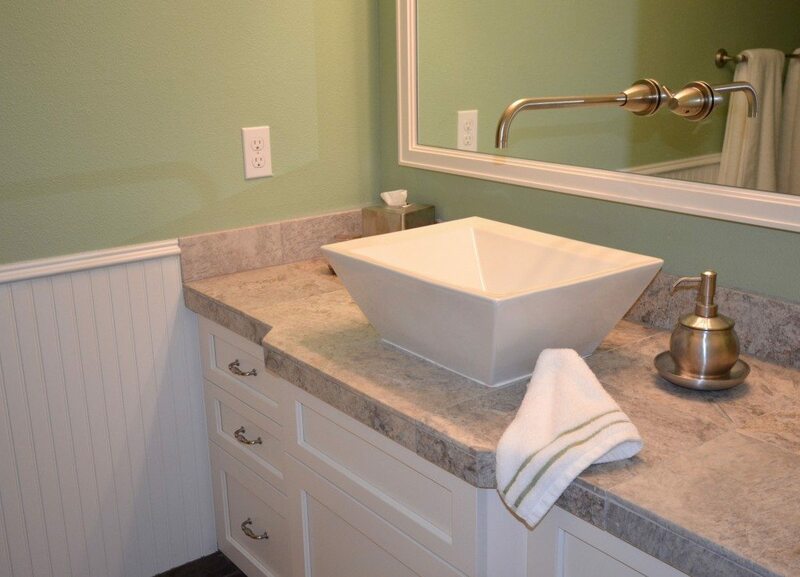 There are many things to consider when planning a bathroom remodel and few features are as important as your countertop surface. But with so many beautiful styles to choose from and so many prices levels available, today’s homeowners can find themselves overwhelmed in the planning stage. 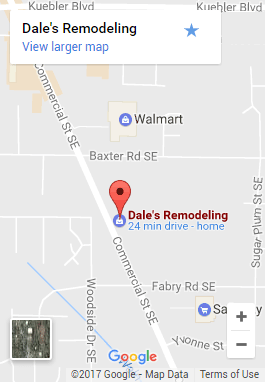 If this is the situation you find yourself in it may be time to call in a professional, like Dale’s Remodeling’s award-winning designer Becky Olsen. We’ve asked her to break down the most common bathroom countertops surfaces in a “this v. that” comparison based on cost and function. 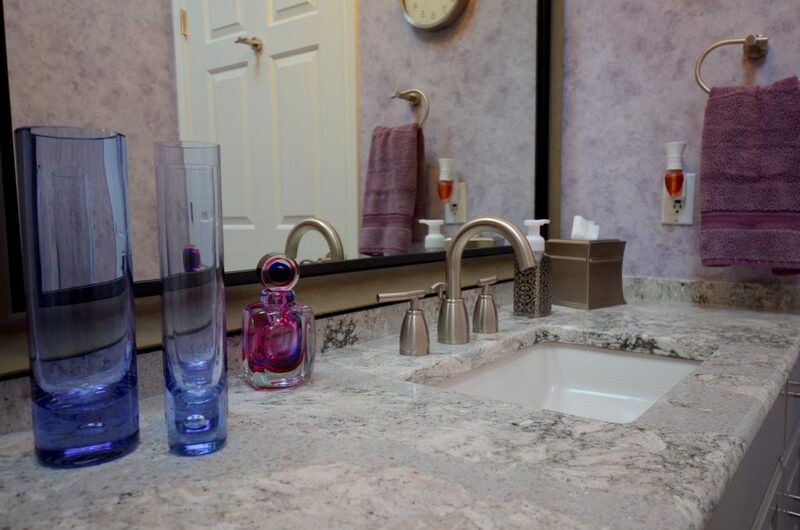 If you seek both beauty and durability, you may want to budget for a high-end counter surface like granite or quartz. Both provide a natural look and are great options for luxury bathrooms, however there are a few differences that make each product unique. 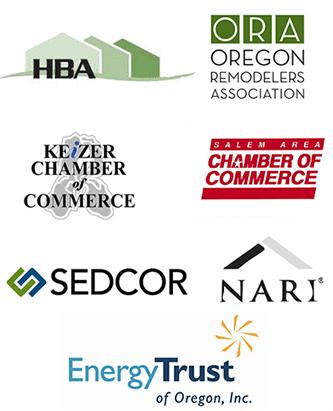 One of the most common types of countertop materials homeowners in the Salem-Keizer area choose is granite. It’s a natural stone with beautiful detailing. The Look: There is an amazing array of colors and tones in granite, with ingrained flecking patterns that range from subtle, to bold. 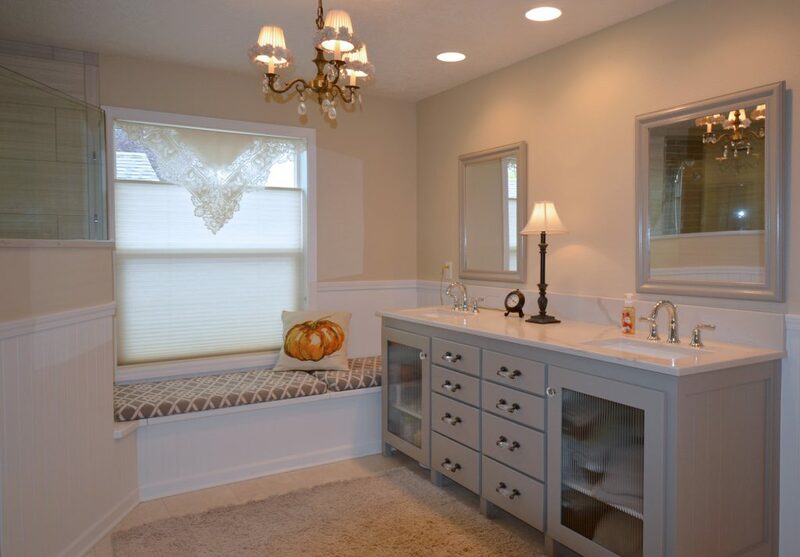 Perfect for highlighting other elements of your bathroom’s design. Durability & Maintenance: As far as long lasting, durable materials go, granite is one of the best on the market today. It’s a hard stone that is scratch and heat resistant, as well as impervious to humidity. Value: While granite is one of the most expensive countertop choices, it’s also an easy care, beautiful choice that is likely to add resale value to your home. Installation: Granite can be difficult to shape and install if not handled properly, so it’s best to hire a professional to do the job. And, you’ll need to make sure it is properly sealed to protect it over the long-term. Price: All these benefits will cost you, at $50 to $100 per square foot depending on the size and thickness. The Look: Quartz is versatile. 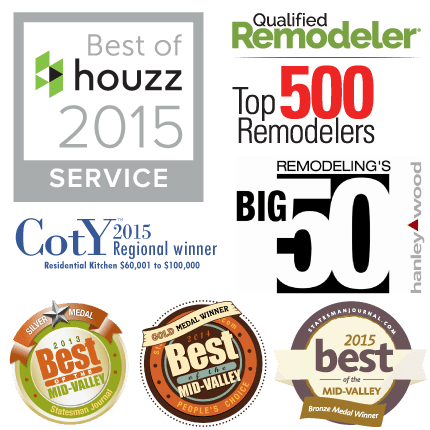 A large selection of colors and edging treatments offer homeowners an endless number of design options. Durability & Maintenance: Tougher than granite, quartz is naturally resistant to moisture, stains and bacteria, but if you’ve opted for a honed or texture finish expect to see smudges. Value: The cost of quartz is competitive with granite, but may not provide the same value at resale. Installation: The hardier nature of quartz protects it from damage during installation and sealing is not necessary. Price: Up front cost is no different than granite at $60 to $100 per square foot, so choose quartz if you’re looking for durability and easy maintenance. 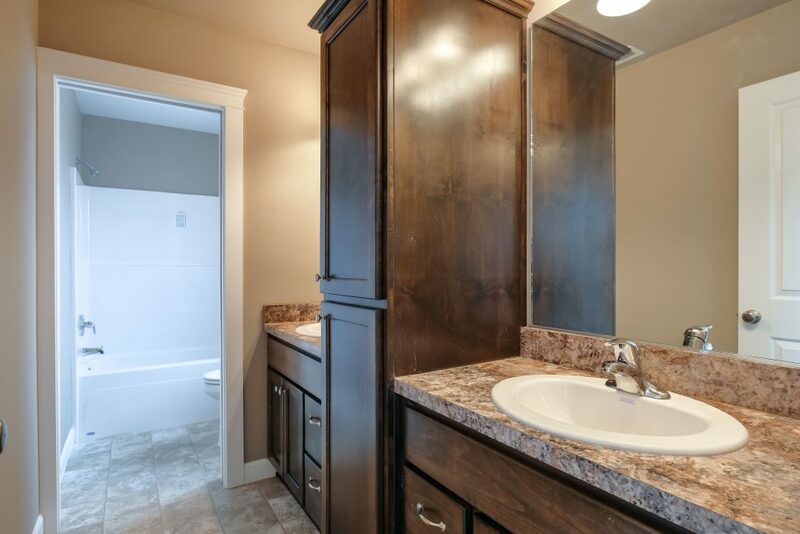 Not every bathroom is built for luxury, and not every budget is fit to handle the high cost of stone. Lucky for us, there are plenty of beautiful options for every type of bathroom! There are few countertop options more versatile than ceramic tiles. Made from clay, they are fired at a high temperature, then glazed to take on a variety of colors and designs. The Look: Some bathroom designs just call for the charming, casual look of ceramic tile, as in the popular beach cottage style. And, with its ability to be customized, tiles can be made to suit every taste, including glossy or matte finishes. Durability & Maintenance: Heat, stain and moisture resistance is built into glazed ceramic tiles; however, the grout used to secure them can’t boast this same claim. Grout can attract stains and mildew that can require constant cleaning or replacement. The good news is, it’s a relatively easy process to replace tile (including ones that are chipped or cracked). Value: The value of ceramic tiles doesn’t reach the value of granite or quartz; however, as part of a beautiful design, it can attract buyers who have an eye for interesting detail. Installation: With so many individual pieces, installation can be tricky to perfect. Uneven grout and off-center application can create an uneven surface for your bathroom counter. Price: Ceramic tile is budget-friendly at $10 to $50 per square foot. Another cost-effective option is plastic laminate combines. Layers of paper and resins are applied to a single, semi-rigid plastic sheet. Varying grades are used for different purposes, with the thinner grades used in bathrooms where there is less chance of a knife cutting through the material. The Look: Forget the flat look of laminate of the past! Today’s choices come in beautiful, realistic stone and wood-like finishes, solid and graphic patterns of every color. Another plus; unlike stone, laminate is warm to the touch. Durability & Maintenance: Technology has made laminate a durable, water-resistant choice that is also easy to clean, but over time it tends to thin and the color dulls. Additionally, any damages to the surface typically can’t be repaired. Value: Laminate is one of the most affordable countertop surfaces on the market, making it a great budget-friendly option. Installation: With a little help and the right tools, do-it-yourselfers can install plastic laminate, but if you’re not sure, call a professional. The finishes of any countertop can easily give away the skill of the installer. Price: At only $24 to $50 per linear foot, plastic laminate is a perfect fit for any budget. 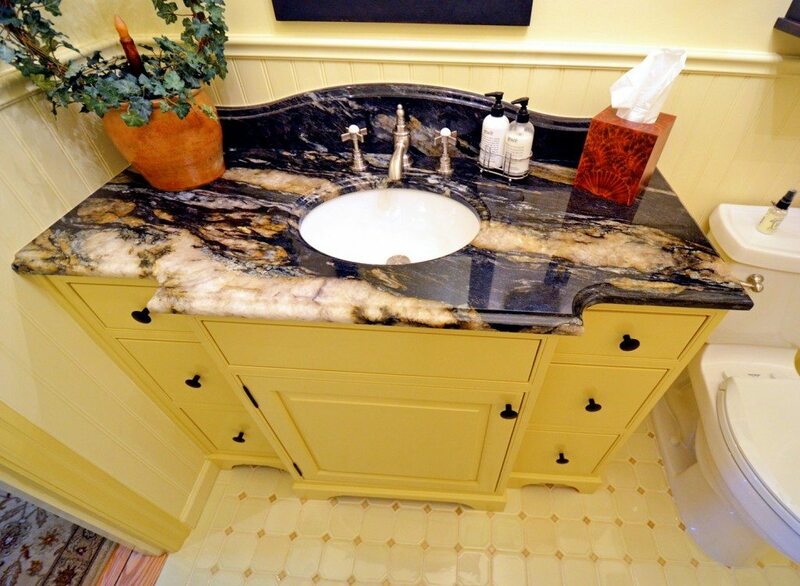 What criteria will you require of your next bathroom countertop? Are you looking for versatility, durability or a specific finished look? Please tell us in the comments below, then check out our Pinterest “Bathrooms” board to see more beautiful bathrooms we love.